While back in God’s Country over the holidays, I had the chance to visit one of my favorite old west waterin' holes – The “New” Atlas Bar in Columbus. If you are traveling through Montana, there is a good chance you’ll end up on I-90 between Billings and Bozeman. While in the area make sure and stop off in Columbus and head “downtown” to The Atlas and blow the froth off a couple at this classic saloon. This bar has a lot of history. 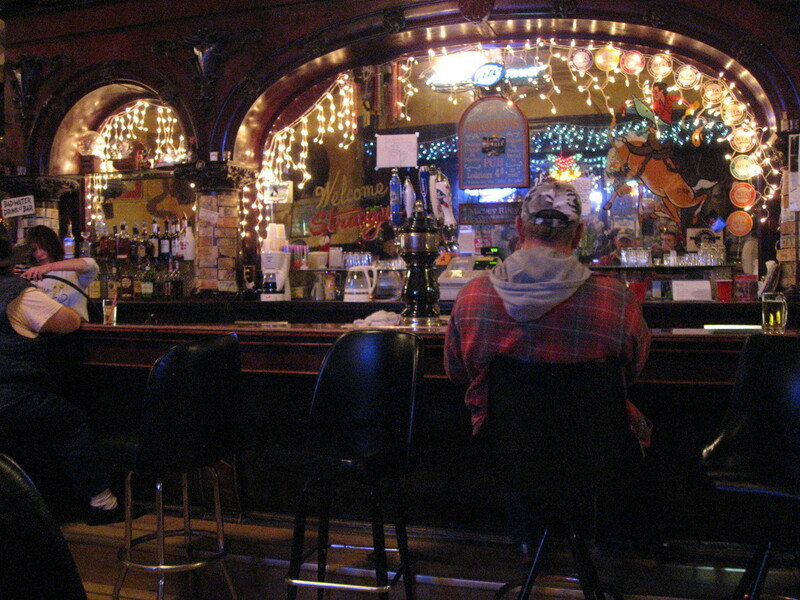 Built in 1906 the bar boasts some unique features. Most first time visitors will notice that the men’s bathroom is in the back of the bar (complete with a Crane urinal trough), while the women’s bathroom is in the front near the main door. There is also a rustic game room in front. In the early twentieth century, this bar was called the “Atlas Bar.” Of course prohibition was a difficult period in our country’s past. Thankfully for all of us in 1933 cooler heads prevailed, and with the ratification of the 21st Amendment bars were back in business. It is rumored that the Atlas Bar received Montana’s first post-prohibition liquor license and was reborn as “The New Atlas Bar.” It has always been a main congregation spot for Stillwater county locals. 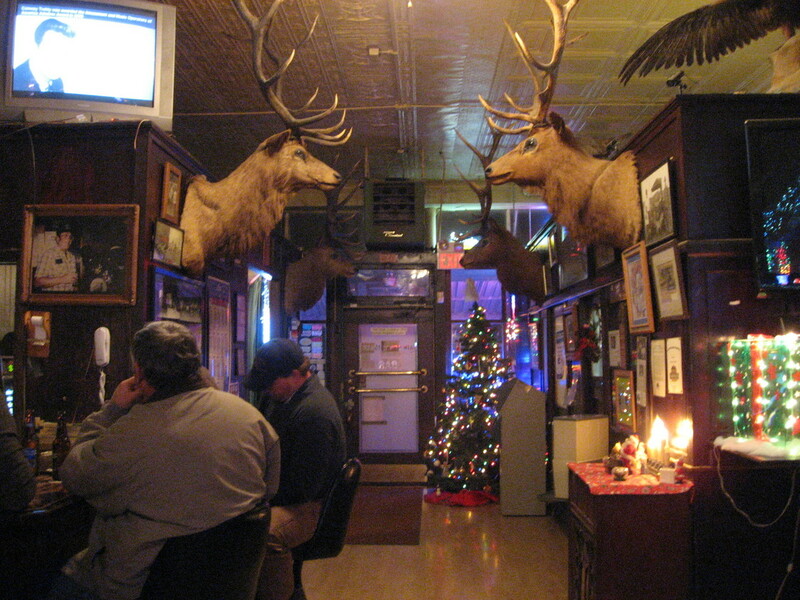 Today it is known as one of most historically accurate, and most famous, bars in the state. When you walk in the front door you’ll feel like nothing has changed for the past 100 years. Last summer the National Park Service even added the bar to the National Register of Historic Places. Quite an honor for a small town saloon! Not many things have changed over the century, but one important one has – the beer selection. Yes, they have Bud, Bud Light, Miller, Coors, and of cause PBR, but they also have a great selection of craft bottles and drafts. On tap they offered Sam Adams Boston Lager, Bozone Amber (Bozeman, MT), Red Lodge Beartooth Pale Ale (Red Lodge, MT), and Bayern Dragon’s Breath Dunkelweizen (Missoula, MT). And in classic Montana fashion, 16oz micro drafts are only $2.50. Happy Hour is even cheaper! Great beer at this price really can’t be beat. In my September, 2011 blog entry titled “30 things to add to your to do list” number 13 recommended that one “Drink a local Montana craft beer in a real, old-school western watering hole.” For those checking items off their list - there are countless options for this one. The Hofbräu or Crystal in Bozeman, Grizzly Bar in Roscoe, Cowboy bar in Fishtail, Bulldog in Whitefish, Mooses in Kalispell… the list goes on and on. (What is your favorite?) But the New Atlas is a classic that can’t be missed. It is a totally unique experience and a great place to enjoy a few Montana brewed specialties. And then you can also brag that you’ve been to the Dead Animal Bar!